My mom once asked me if I carry bricks in my handbag because, apparently, she could not think of a better reason to justify its weight! Duh-uh! Does this happen to you, too? And, what’s with all the fuss about “you have way too many handbags”? You can never have too many handbags (or shoes), can you? Besides, you’re not just matching your shoes with handbags – you’re practically carrying a little bit of everything under the sun. If you’re a handbag aficionado, or not – you need to check these bestsellers out. Some are trending, others are classics and absolute must-haves. Take a look! So, here’s The list comprising 20 Bestselling Ladies’ Handbags. A brand new extension to their bestseller signature tote collection, this one is available in fast, vibrant, and stylish colors. 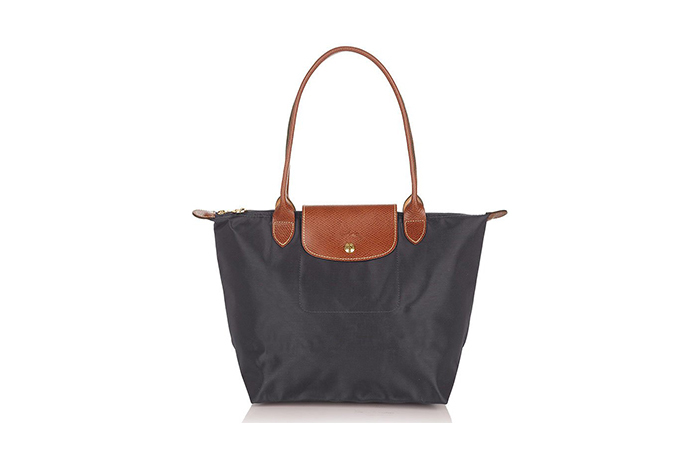 Staying true to its name, it is ideal for people on the go, with ample space for everything you might want to carry. Michael Kors is a brand that made couture available at affordable prices without taking away the value for money quotient. The colors from this design palette are contemporary and complement the design and style. Nobody can have just one! You will always keep coming back for more. At least that is what all their happy customers say. It works both as an everyday essential and a travel pouch. Dark brown is a Fossil staple, and most of their designs revolve around this color. However, they amaze you with the uniqueness of every single piece. The zipper gussets are adjustable and can expand to give it extra room. Their leather quality is one of the best in the industry. Most of the Fossil customers are loyal to the brand. 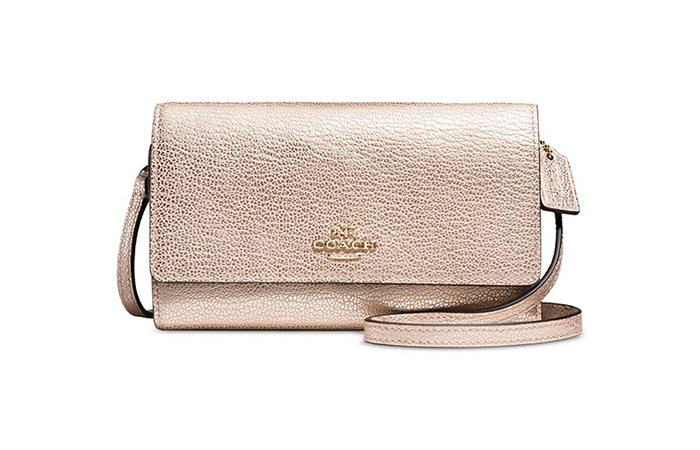 Customers obsess over Fossil bags because they are effortlessly stylish. Most of them get these because of the functionality and robustness of the product. I could not agree more since I am one of their loyal customers. I use their wallet, sling bag, and watch, and will continue to do so forever, because that is how long these last. Steve Madden is known for its unusual design patterns. Be it handbags, shoes or accessories, they are unique, stylish, and chic. The products from this brand are a part of every girl’s wish list. Their bags are stylish and spacious, and just big enough to carry your bare essentials. Your emergency kit can scoot in as well. When people say you can never get enough of handbags, I guess they mean sling bags. With myriad choices in this variant, you’re always covered. Most of them love this bag for the way it just jazzes up any outfit. It will never let you down! The zippers are robust, and the sheen of the material is classy – a total value for money in every sense. 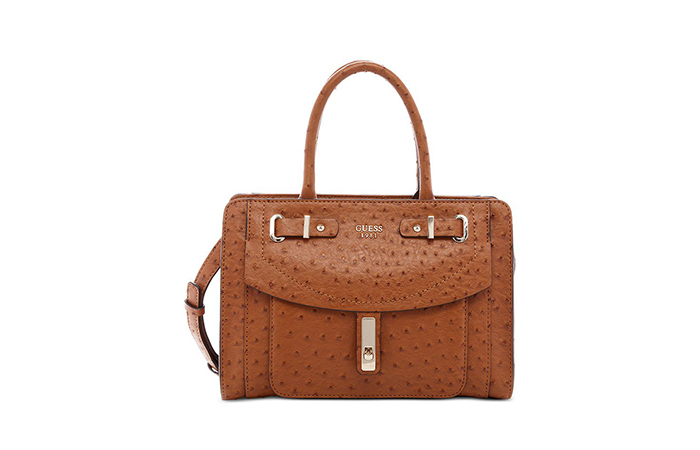 You automatically amp up your style if you’re spotted wearing Ted Baker accessories, more so, their handbags. The design, colors, and materials are sophisticated and ooze class. 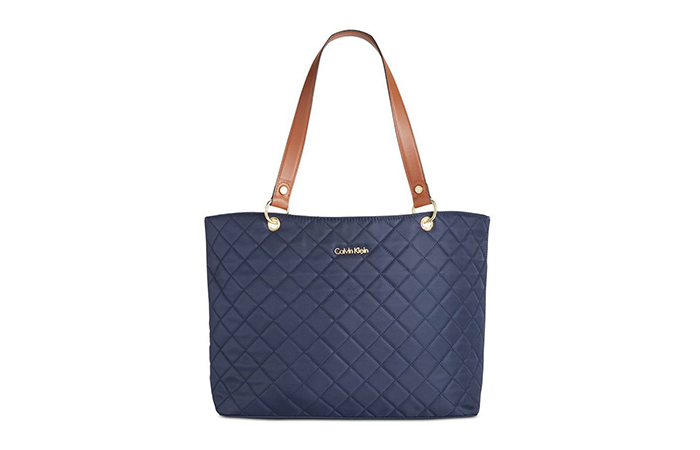 There is an innate English vibe to their bags, which are timeless companions to your chic wardrobe. The quality of this matte finished handbag rounds off every penny you spend. Customers do not mind spending on bags like these because there is beauty in minuscule details. 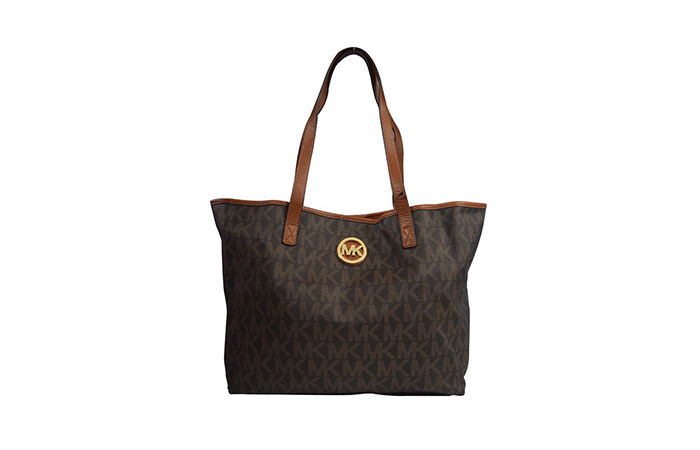 This tote is a favorite of most women and is popular as an everyday carry-on. It comes in a single compartment, but it’s easy to access your stuff. The millions of things that we toss in there do not get lost in the other compartments. A timeless piece that is a limited edition collection, it comes in one effacing color. However, be careful with spillovers and stains, it can get ruined quickly. A stylish accessory that can brighten up your winter evenings and enhance your shopping experience. 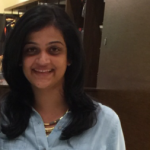 Plus it bumps up your style quotient and makes making statements a lot easier. Accessories like these give off a classy vibe without actually saying anything. A signature design from Ted Baker, it is distinct and well-known. The material is sturdy and durable and has a sheen to it, which makes it trendy and chic. From my research, I realized it’s a hot favorite amongst youngsters. It makes for a great gift for fashion forward teenagers. A word of caution when you order online – check the quality of the product, in particular for this design. Two things in one, actually wait – this is three things in one. The tote comes with an inbuilt detachable wristlet that can be used as a separate, plus the bag itself comes in an innate reversible design. So, every penny you invest here is not just doubling up, but tripling! It can’t get better than this, can it? I have been using this for a while now and understand why it has been an instant hit. For obvious reasons, I must say – the tie-able straps, the smaller tote/clutch, and the inside-out design makes this bag irresistible. You will never get bored of this one! 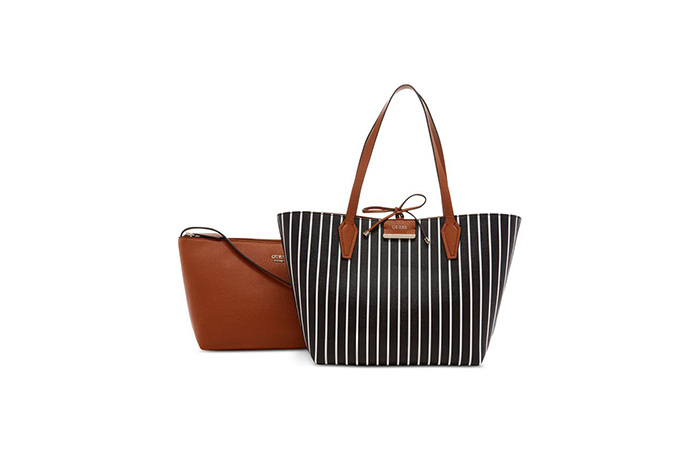 I love the idea of the smaller tote, and that I can carry it like a wallet for grocery shopping. It can accommodate all my bare essentials. Hobos are known for their comfort primarily – these bags can be used for both professional and casual purposes. This bag will look just as good with your chic office wear and can accommodate everything you need for surviving a weekday or running errands. And when brands like Betsey Johnson take it one step further with their design detailing like the gold stones, studded flowers, etc., without compromising on quality, you don’t want to miss owning one. It’s a stylish addition to your pajama look, and the best part about this bag is the way it sits on your shoulders without sliding. I have observed this issue with a lot of bags, even most of the premium brands. It can make carrying a handbag a very uncomfortable experience, especially if it’s heavy. The only negative of this one is that the leather finish is inherently dull and might appear worn out very soon. This is an eclectic design created with drawstrings. The way the strings cinch make it even better. The colors complement the style perfectly. This is bag is ideal for shopping. Just draw the strings once, and pulling your wallet out at every store in the mall becomes a breeze. Just toss it on your arm or hold it like a satchel, either way, you’re sure to get a lot of compliments. The only downside to this bag is that it has no compartments. It’s easy to carry while shopping; however, you can’t loosely carry your money, card, etc. all the time. So, if you’re someone who prefers at least one hidden zipper for taking handy cash or credit cards, you don’t have an option here. But, I love this bag for its accessibility. Plus, I always carry a wallet and a smaller cosmetic pouch, so it works for me. A satchel every woman should own. And in a color like gold-camel, it is a must-have. Classic, sophisticated, and functional. If you’re the kind who believes in investing in a practical design that can keep you going for the longest time without having to change – this might be it. This eternal style will never go out of style and will never let you down. I have used a lot of bags in a similar design over the years, some luxury brands and some local made, so the quality is no match. I gifted this to my mother, and she seems to enjoy this one, except I realize I should have gone up one size bigger since this gets bulged out with everything she carries. But, that does not take away anything from the classy quotient of this design. 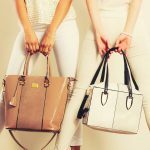 Are you a vegan, looking for faux-leather bags? Or not, but prefer faux leather over pure leather? Here’s some good news. A functional and everyday essential with superior quality from a reputed brand like CK. They have been the pioneers of making quality and stylish designs affordable to everyone. This bag is massive and elegant and can fit most of your essentials in; in fact, even a laptop or tablet can go right in. What else do we need? It’s durable, functional, and comfortable. The zipper, nylon finish, and faux leather handles are all of great quality and will last you a long time. I have seen a few friends who double this up as a diaper bag. Might not have too many compartments, but the one huge pocket can easily accommodate everything for shorter drives, perhaps. It is a very good idea to skip the huge diaper bag for once. Therefore, it is ideal for mothers with toddlers. But, it would have been better if it came with additional smaller partitions, to say the least. A stylish looking crossbody bag for someone who hates to hold on to anything or does not like shoving everything into their trouser pockets. A sleek, light, and stylish addition to every girl’s collection. The quality and design are something most of the brands cannot even come close to in comparison to Coach bags. However, it’s a little too small for the price. If you’re just looking to make your hands free all the time or own huge phones like the Galaxy, you need this. It can easily fit a phone, keys, gloss and other tiny items, but that’s it. It’s supposed to be like that anyway, so I’m not complaining. 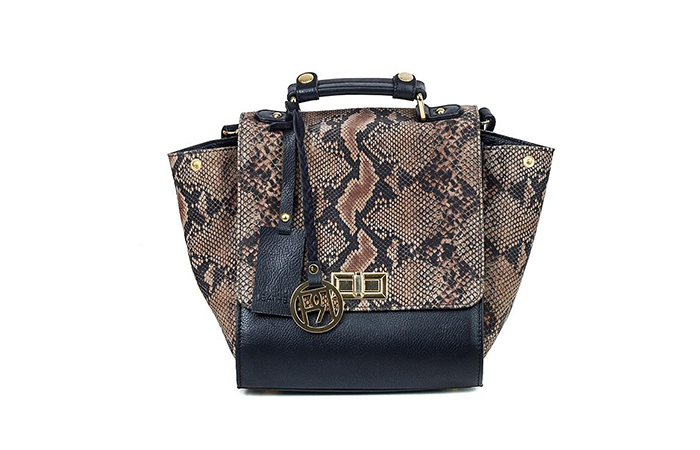 This retro style print is timeless and an upgrade in size for a crossbody bag. 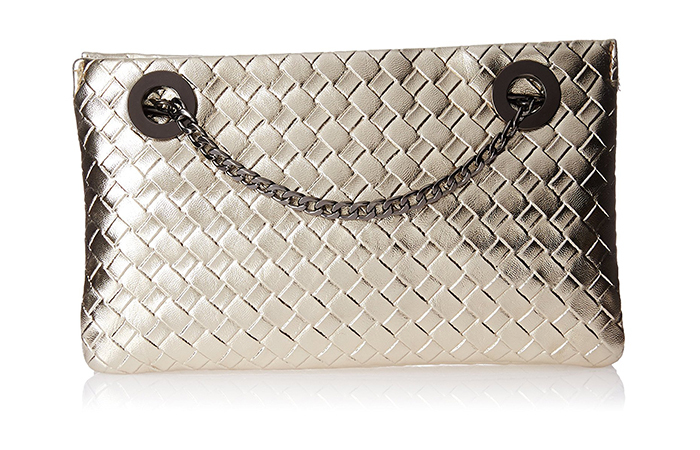 The gold zipper and hardware lift the color further, adding charm and style to the bag. 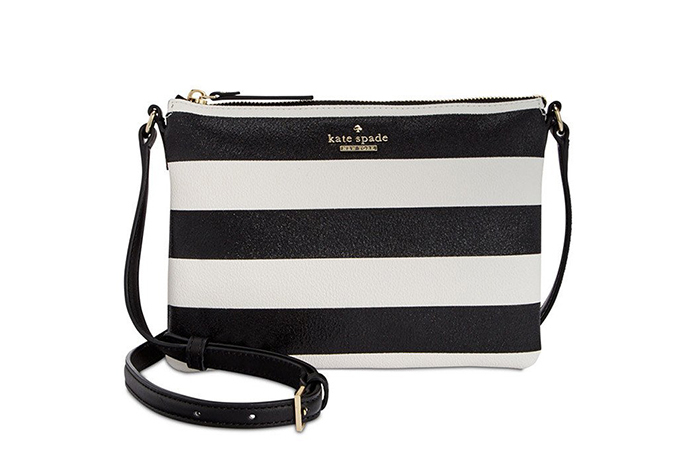 Kate Spade New York is known for giving us all our style goals and this product of theirs is a keeper. An interesting way to partition a relatively smaller bag to keep your stuff intact. However, it would have been better to have a zipper so that they don’t fly all around. It’s a great looker and makes a statement all by itself. This brown checkered design is a legacy that redefined minimalistic statements but with the same sophistication. 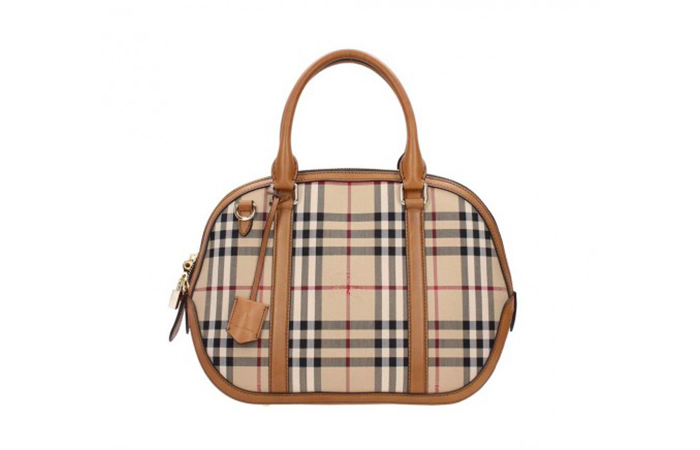 Randomly pick any Burberry bag or design, and it will never fail you. This brand is more than just an accessory, it’s like a lifestyle that defines who you are. The satchel, just like any other Burberry bag, looks edgy and stylish. It sits well on the arm or along the length of your body. People sometimes complain that their bags are usually heavy by themselves, but hey, look at this baby right here. It makes up for everything else, doesn’t it? Do you have too many handbags? Wait till you see and read about this one! 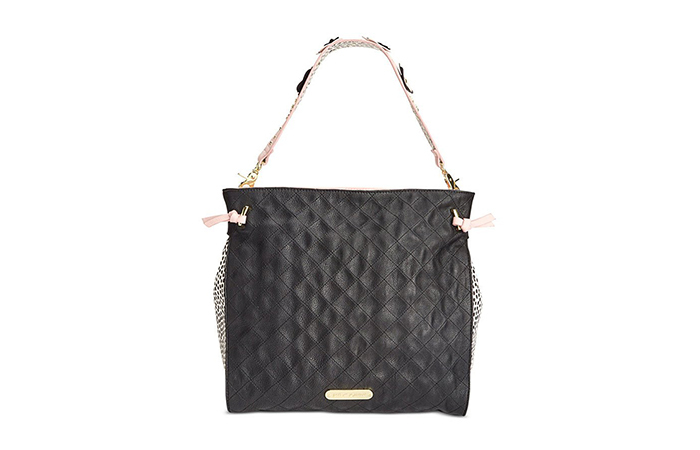 A sling body bag in pink/powder color, with a faux leather pom-pom and quilted pouch charm. Wait, was I dreaming? This goes with absolutely anything, even when you drive around in your pajamas. 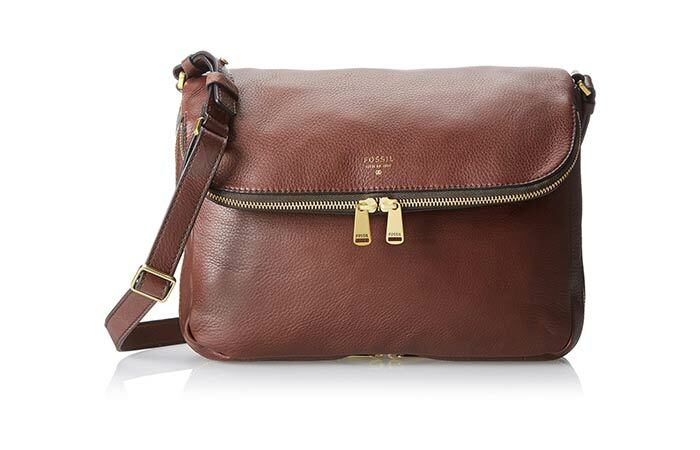 Again, like I said, I love sling bags and can never get over them. It’s ideal for anyone who likes to keep it simple yet stylish. The pom-pom and the quilted charm are the flimsy addition you would otherwise never see. But, it is not going to replace your handbag, it does not have the bandwidth for it. If I have to describe this piece in one word, it would be tres-chic! It is a remarkably different design, so if you love making statements, you should get one of these. An eccentric choice of a handbag that will surely set you miles apart. Elements like the handle, gold studs, and even the shape are winning hearts. If you’re a fashionista who loves exploring, accessorizing, and making statements, go for it. It’s perfect for meetings and goes well with smart casuals or evening dresses. However, it is not something you can replace your everyday bag with. But, it could just be me! My favorite is yet to be discussed! 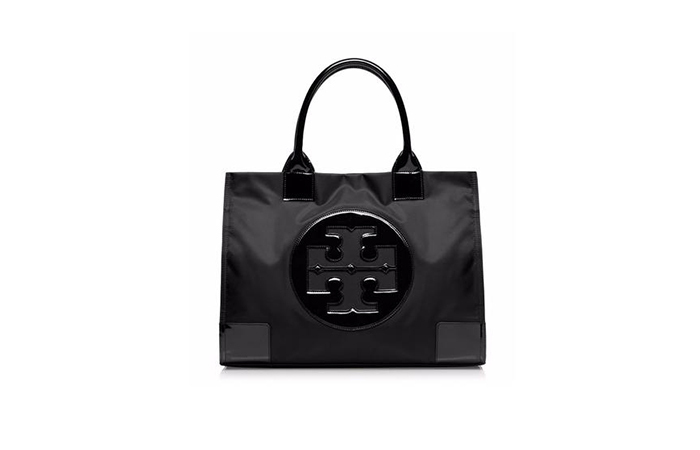 Anything with a Tory Burch motif has to be good, and that is putting it mildly. If you do not trust me, you have to see it to believe it. 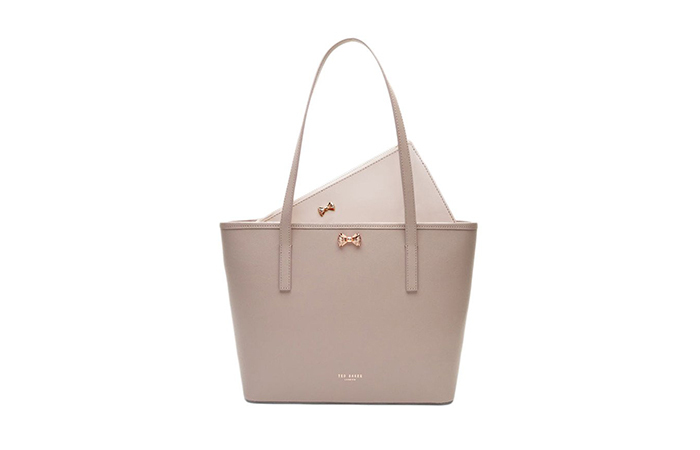 A unique take on the regular tote bag, it has firm handles and a glossy finish. The finesse of this is something I fell for at first sight – I’m sure you agree? This big bag with a magnetic closure comes with just a single compartment, but I don’t mind. I have had friends and family use it with zero complaints. The base is sturdy, so your stuff is intact, and the scope for fishing or losing them is quite small. An easy to carry shoulder bag that is stylish and sturdy. The colors in this variant are dark and poised for obvious reasons. Makes it ideal for professional purposes. In fact, it comes in a single compartment that can accommodate your laptop or tablet. You don’t have to be boring with your statements just because you have to look professional. This proves it, doesn’t it? The nylon material can feel dud, and it’s not the first thing I would consider while buying a bag. However, you have to give it to the designers for the way they amp up the style of everyday essentials and make them look appealing. Animal prints have been a fad for the longest time. I love them on handbags and shoes, but maybe not dresses. 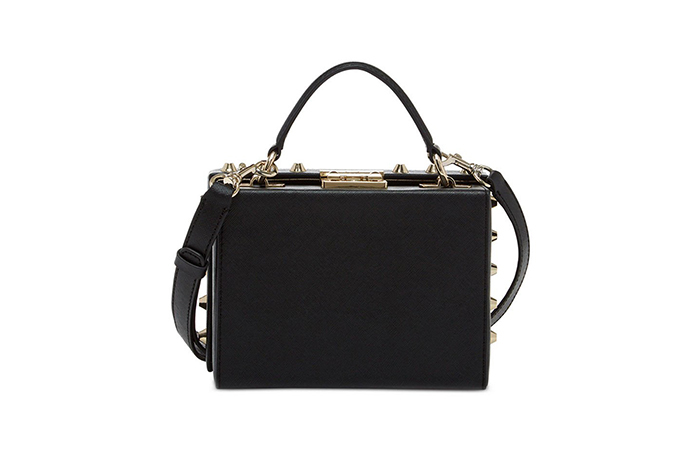 But, this is one satchel we should all own – it’s edgy and sophisticated. Exactly how a handbag is supposed to be. I’m in love! Either you are an animal print person or you are not, there’s no meeting in the middle. And, this is the same thing I told a friend who was whining about the bag looking worn out and dull after a point. These designs are not supposed to be swanky. 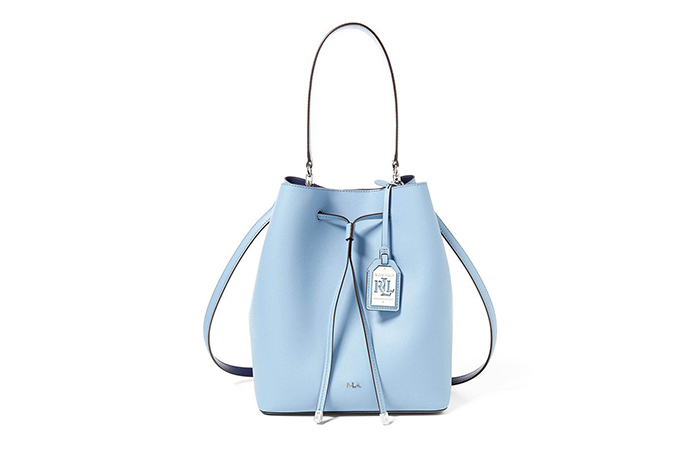 They are meant to look poised and decent, and this bag looks that. 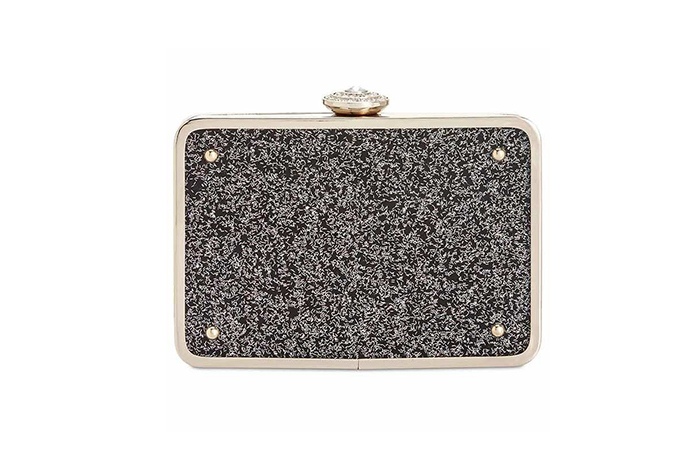 A modish and fashionable clutch that doubles up as a crossbody bag. Clutch is the in-thing right now. The swanky stone to clasp the closure gets all the brownie points. The price of the bag might be a little more than what I would prefer to invest in a clutch, but the finesse is the deal breaker. You do not see this in regular brands, plus it doubles up as a side body bag if you get tired of holding it. So, it’s a total win-win. Thanks to the designers, there’s no dearth for making statements while you doll up (or not). I would have otherwise never considered a designer handbag, but if they are functional and stylish, why not? 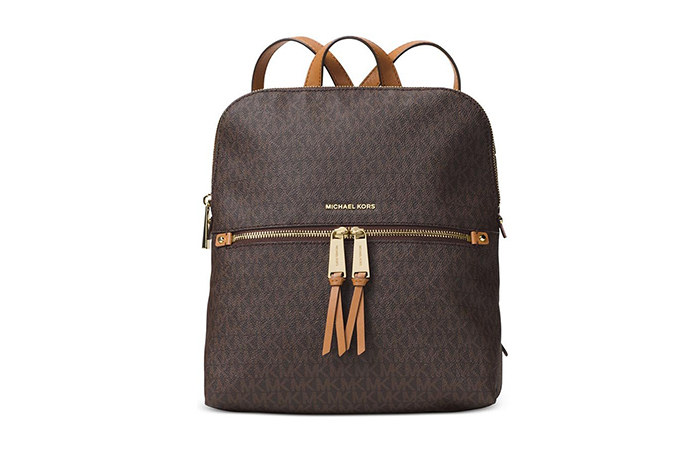 Michael Kors has revolutionized women’s bags and accessories in more ways than one, and it’s evident with this one. You can use this as a laptop bag or a carry-on during travel. It fits a lot more in there than a handbag might. But, it might bulge out too much and spoil the shape of the bag. So, it’s either perfect for carrying your electronics and other essentials or can be used just as a travel kit. Might not be a good idea to combine both. But, nothing takes away the creative element of this prodigal signature print. Handbags are more than just an accessory, and all our carry-ons are not very different from Phoebe Buffay’s – right? Plus, my idea of dealing with Monday blues sometimes is attacking the week with a new handbag. It’s just a lot of fun to change and get loads of compliments. What are your favorites? Let us know in the comment section below.